Wow, it’s been a while! I happened been on the radio much as I’ve done some other hobbies, but was active with our club on Field Day and then decided this weekend to get into the July NAQP RTTY contest. Everything fired up and worked perfectly – power supply, radio, G5RV tuner, hexbeam and G5RV. Updated N1MM+ and got right into the contest when it started. Boy was it slow going for me. Nothing heard on 15m or 10m and 20m was slow going. So slow that after 2.5 hours, I stopped and watched a movie. Got back on the radio after the movie and 20m was a little better. Late in the afternoon 40m started to get some activity and once it was active it was much more productive. Called CQ for a bit and S&P’ed before doing the same on 80m. Once I hit 200 Qs I decided to stop as I was getting up early to head to the biggest hamfest in the area. It was fun to be back on RTTY and see the callsigns of a lot of regulars. Worked 34 States and 3 Canadian Provinces. but didn’t work them, though I did work K3P which was the Pope special event station. 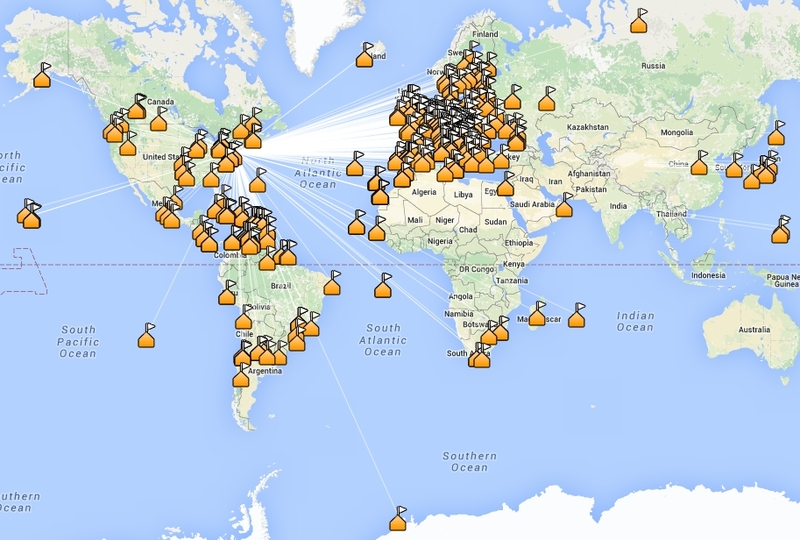 As usual, wrapped up the contest on 40m & 80m working as many stations as possible to end up with 579 Qs in total. 10m was dead and 15m wasn’t much better. Most daylight time spent on 20m where all the activity seemed to be. Once it started to hit dusk there was activity on 40m. Pretty typical for an NAQP though it would be nice if we could make more Qs on 10 & 15. Ran 100w (contest max power) and unassisted (no cluster) so all contacts were made spinning the dial or calling me when I was CQing. Another RTTY contest (DMC) was going on but it didn’t seem to cause much confusion as most DX stations were in the DMC contest while US & Canadian stations were in the NAQP contest. I had woken up around 4am and didn’t fall back to sleep which caused me to start dozing off near the end of the contest. I could have spent 1 more hour operating but at 11:30pm ET / 0330z I called it quits and went to bed. SH5 Contest Summary doesn’t show a huge amount of info for a NA focused contest but shows rates, bands and a few other items. Saturday was a 24 hour HF contest where anyone can work anyone else on either phone (SSB) or CW. I decided to just operate CW and I operated assisted using the DX spotting cluster. 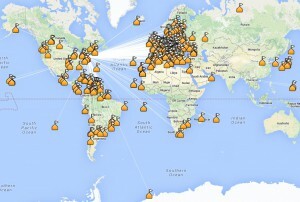 Most activity was on 20m (75% of my QSOs) and very little on 10m and not much on 15m when I was on the air and checking. The only real pileup I heard was for 5H3EE, a Tanzania station, but since I’ve worked him a couple times previously I didn’t spend much time in the pileup. There was also an E51 South Cook Island station but I wasn’t able to pick him up. I spent about 10 hours from my first contact to my last, but I wasn’t operating straight through. I didn’t work any Japan or other Asia stations and didn’t even notice many being spotted either. Near the end there was a little activity on 40m and not much on 80m but I stopped before everyone in the US might have started to spend time on 80m. 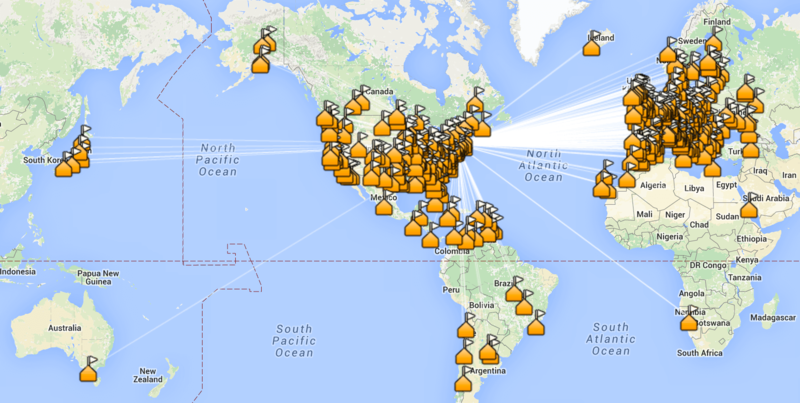 The SH5 reports from processing my log show 326 QSOs (1 dupe) and 66 DXCCs logged. 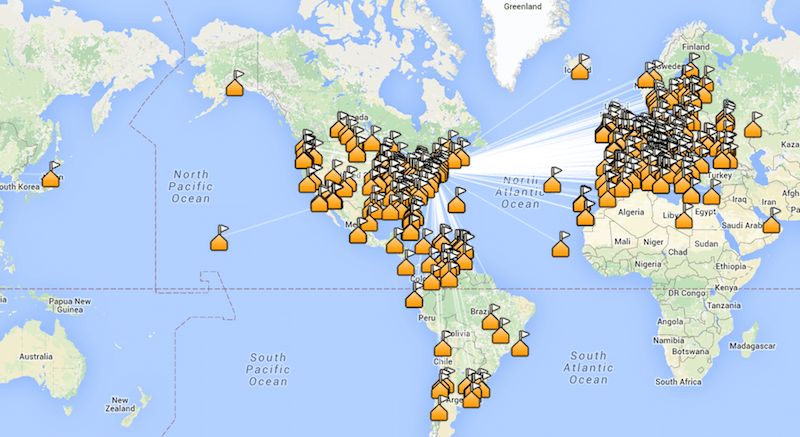 All QSOs were uploaded to LoTW, eQSL, Clublog & QRZ as well as sent in for the contest. Next weekend is the summer run of the NAQP RTTY contest. I hope the bands allow for more activity outside of 20m and I can work a few hundred contacts. A bit late but I had a busy week. Last weekend was the CQ WPX SSB contest where the multipliers are the prefix of the callsign worked, and any can work anyone else. I didn’t use the cluster and as I’ve always done, ran low power (100 watts). Conditions were ok on Friday evening (finished with 84 contacts logged) and good on Saturday with decent activity on 15m with 10m picking up around noon ET. I stayed on the air much of the day until around 11pm ET. Conditions weren’t great, but they were certainly fine with not a lot of noise on 10m or 15m. On Saturday I heard 2 station in China (BY) coming in strong but they couldn’t hear me over the west coast stations. I was hopeful that maybe I could find them again Sunday and log them, but when you read on you’ll see that didn’t happen. That’s really the only DXCC entity I recall hearing that I didn’t get logged. I finished Saturday right at 400 QSOs in the log. On Sunday, the conditions were lousy. I wasn’t hearing anything on 10m and the stations I could hear on 15m I had worked. To quantify how poor the conditions were, I even volunteered to go food shopping with my wife. While I was out food shopping, I got a call from a high school friend that he was having an impromptu get together in a couple hours so I knew where my afternoon and evening were going to be spent. After food shopping and before I left for the party, I worked, and each took some work to get in the log, a whopping 41 contacts over the course of a couple hours. I logged just 41 contacts on Sunday and each was a chore. I checked with another ham that works with me and he said the conditions were also crummy on Sunday. In the end it looks like I worked 76 different DXCCs and 300 different WPX prefixes. Of the 441 QSOs logged, there were 344 unique stations worked. Some of the more interesting entities were Georgia, the ITU HQ in Switzerland, San Andres Island, Israel, Kuwait & Qatar. My log was sent in for the contest and uploaded to LoTW, eQSL, QRZ and Clublog with the score posted to 3830. I have a few weekend commitments coming up so we’ll see what’s the next contest I can put some time into.